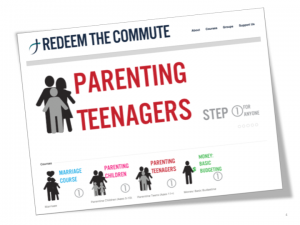 Perhaps our signature accomplishment, Redeem the Commute was originally developed by our principal for a non-profit but is now owned and operated by Digital Message. This app offers free life courses to busy commuters, professionals and families on iOS, Android and a responsive web site. We developed the custom web site, e-learning functionality (using the LearnDash LMS) and integrations with the mobile apps working with a contract app specialist. The iOS and Android app launched in 2012 and immediately gained recognition on CBC News, The Toronto Star and other media. In 2017 Digital Message replatformed the application to a new developer platform and relaunched for the new year.